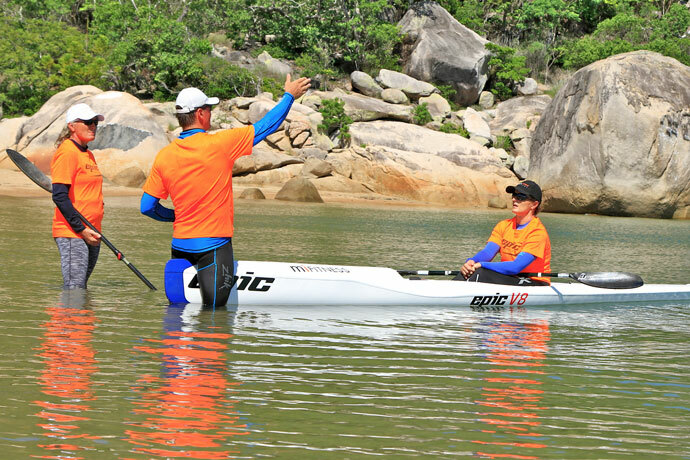 Five times world champion, Olympic Gold medallist and all round exceptional coach Clint Robinson is heading into our waters in June (18-19) to deliver some unique skills sessions on Magnetic Island for Destination Adventure. With the Rio Olympic Games just around the corner, we had a chat to Clint about his amazing career as an athlete; including his advice for other athletes of all levels; and what you can specifically get out of his upcoming sessions. If you’re into paddling, or want to learn, this weekend is not to be missed! 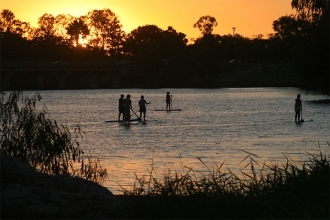 Growing up, you were talented at rugby league and paddling — what made you choose the paddling path? I saw the Moscow Olympic Games as an eight-year-old in 1980 and realised that it was the greatest honour in sport to represent your country at an Olympic Games, so that’s why I progressed down the surf lifesaving/paddling path. What was it like winning a gold medal at the age of 20? Did you feel any pressure to keep performing? Of course, it was an incredible achievement to realise so young in my life, but one that I worked very hard for and have full respect for my opposition that I raced that day. It exposed me to great expectation and the ultimate prize in sport, which has helped keep me grounded ever since. I certainly went into the race to win even though the then-current Olympic Champion (Greg Barton), two-times World Champion (Knut Holmann) and the Junior World Champion (Marion Popescu) were the three other guys possibly expected to beat me. There is always pressure in everything you do once you’ve become an Olympic Champion, as it’s an achievement that attaches itself to your name and identity like nearly no other in sport. You certainly notice it is a life changing experience. You’re in the unique position of being an Olympic Champion in the K1 1000m, plus World Champion in five different paddle sports [sprint kayaking, SLS spec ski, ocean ski, SLS board and six-man outrigger]. This is unmatched around the world. What would you attribute to your diversity and ability to adapt across these paddling classes? I was educated to understand the feelings for strength in the water and trained very hard the majority of my life. I also did a lot of my training on my own which created a very strong will to win. This, combined with my competitive nature, has a lot to do with the success in such a broad range of paddling forms. Are you looking forward to watching this year’s Olympics, or is it always hard to watch from the sidelines when you’ve been to five before? I enjoy watching the Olympic finals so that I can understand what’s happening with the elite level and best paddlers in the world – I respect the ability as it is so difficult to achieve this level and requires a complete life-focused amount of time. That’s why it’s so good to watch. What’s been the most memorable aspect of your Olympic experiences? Of all five Games I’ve been to, it would be seeing how the flame was lit at the Opening of the 1992 Olympic Games. Paraplegic archer Antonio Rebollo was right next to me when he let go of the flaming arrow, which shot towards the Olympic flame cauldron at the top of the stadium, lighting it up. Clint explaining paddle technique during his last visit to Magnetic Island. What advice would you give to athletes — at every level and in any sport — to help them perform at their best? Are there any tips or tricks that have served you well along the way in your 30+ years of paddling? You must love what you do to be at your best and get personal satisfaction from the effort and time you put in. Never underestimate your opposition or the conditions that you race in – utmost respect should be given to these two factors. You must have a steely focus in your mind about how to create the best performance on race day from what you have trained to do. 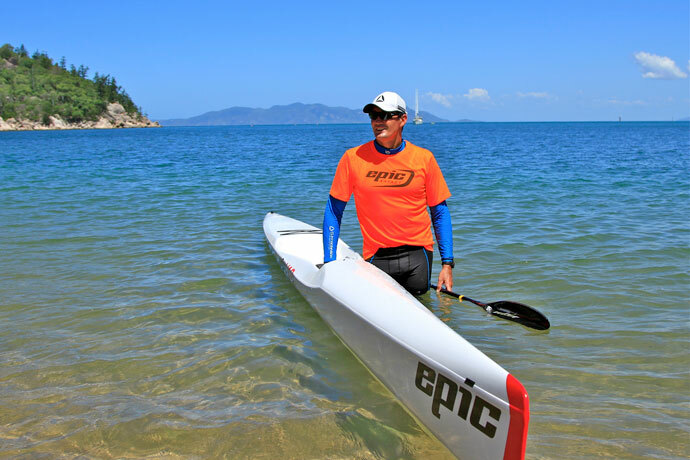 You now offer paddling clinics all over Australia with one coming up on Magnetic Island on June 18-19 — can you tell us about those and your vision? What can people expect to get out of the session? I began running clinics to educate people how to do the sport correctly, as you have two pieces of equipment that not only carry your weight, but drive you forward. With the right knowledge and technical application the sport is much more enjoyable to do and certainly to watch. During the clinics I go through the entire technical elements of the stroke to give people a feeling/self-coaching way forward to help their abilities and to develop their boundaries. If you could give a beginner paddler three pieces of advice, what would it be? There is no replacement for time on the ski with correct knowledge — there is no point knowing what to do without spending time perfecting your trade — time offers opportunity. Clint loves paddling and coaching in North Queensland. 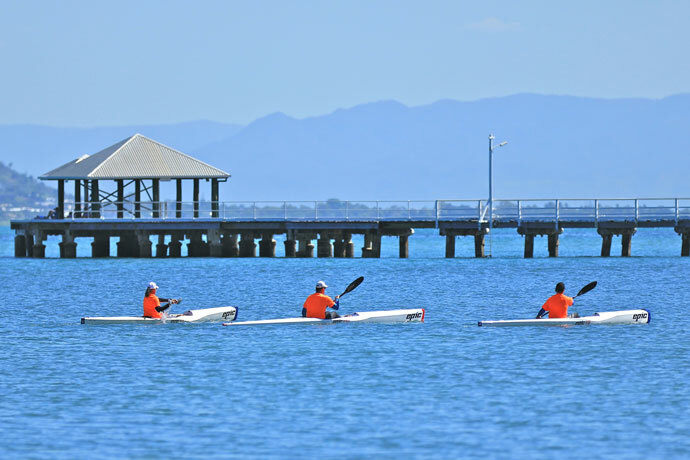 What do you enjoy about paddling in North Queensland? Any favourite spots? The water conditions and temperature, even though hot in summer, are fantastic and the population density is not very high which always makes for more enjoyable time on the water, no matter what the conditions. Hamilton Island is a fantastic place that I have raced at many times and I have certainly enjoyed the clinic work I have done in the Townsville and Magnetic Island area. What’s something about you that most people don’t know? I enjoy having time alone where I live on the Sunshine Coast out of everybody’s way. I have owned a little property for quite a long time and enjoy spending time there doing a variety of different things on my own. It’s very rare these days, but I certainly enjoy the opportunity when it comes along. Anything else to add? Nothing replaces passion and hard work – if you try to do it any other way, you will never feel the self-satisfaction or personal reward that is felt without these two key characteristics. 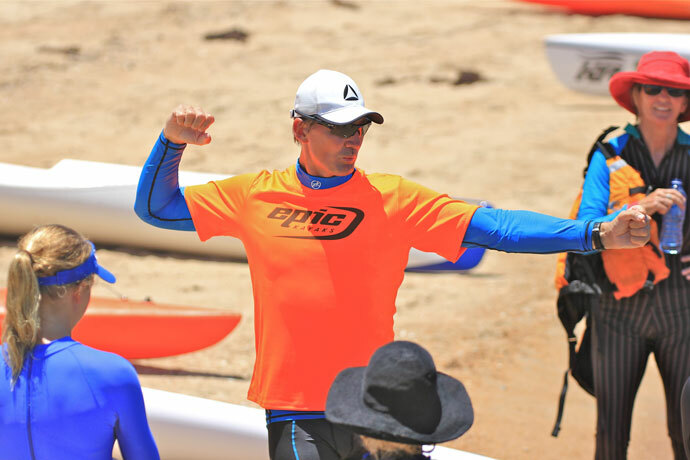 You have the rare opportunity to learn from this sporting great at Destination Adventure’s Ocean Paddling Weekend on June 18-19. Based on Magnetic Island – Towsnville’s adventure mecca – you can enjoy a weekend full of visual technique clinics, skills sessions and seminars. Find out more here, including details about the skills sessions you can do with Clint Robinson and availability. There is also a Winter Solstice party on Saturday night and accommodation and ferry discounts from Peppers and Fantasea Cruising Magnetic.